If you are a web designer, the importance of designing and developing of web pages that are user friendly is highly important. Any web site designer will want to make sure that the site is easy to read and easy to follow. Any web design and development company will want to give the clients the best user friendly website that can be easily formatted. 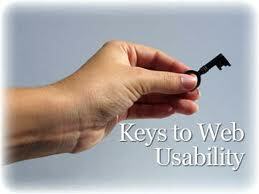 We suggest you the following basic rules that will help greatly improve the usability of any website. One of the first tasks should be to give the website an attractive title. This is unfortunately a task that some website designers neglect to do, or do not do so properly. It is important to make the title as simple as possible and not too long. Make it interesting and creative. Perhaps the most important issue in web design usability is to make the content of the website as clear as possible. Use common phrases and words that most individuals use on a daily basis. Do not make your paragraphs or sentences too long or too wordy, as most people will just not want to read through them. Break up your sections using the right headings, which will make it easier for the reader to follow the page. This brings us to the importance of showing your readers what the most important facts are in your opinion that they should be focusing their attention. The most important information should always be at the very top of your page. After that, any facts, figures, images, etc. that support your main points. Get the attention of the reader very quickly. Always go for the attention getting details first, and then narrow your focus. There is a vast array of color options for any web designer to use. However, be careful about your personal choice of color in the web design. Any web design and development services will want to give their clients a great web design that is pleasing to the eye in both the concept of text and color. Consider your choices very carefully. To make your content readable and easily perceived, separate main points making paragraphs. Mention also that spacing between the paragraphs should not be too low or too high. In case your text contains lists, format them by including bullets. Such type of information categorization is well perceived by an Internet reader. When making a hyperlink, think as a website visitor. Would it be easy to click on a tiny word? Will you try to click on it again if you failed the first time? Doubt it. Make all hyperlinks clickable especially if you work on usability of a mobile version of a website. Visual ads can significantly improve readability of an article if use correctly. Position the most important text below visuals and do not overload the page with them, as they can be distracters from your precious content. Making usable website can be really hard sometimes, but if you follow rules and create from your heart and soul, the site will be read and highly converted.